An interview with Realwheels Theatre Artistic Director, James Sanders. Sometimes art and life imitate each other a little too well. During the research process for his new show, Whose Life is it Anyway? James Sanders fell ill and had to spend some time in the hospital. 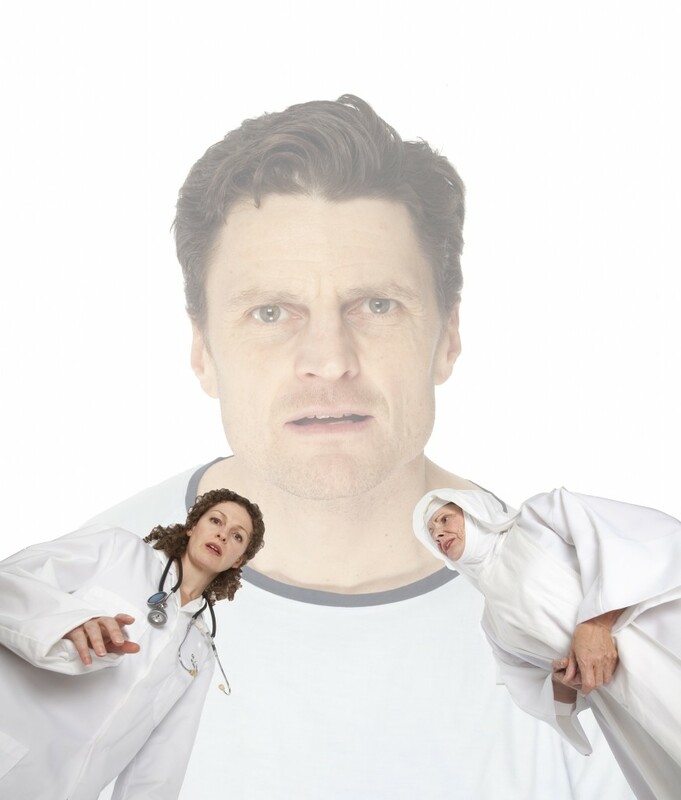 Since the play’s protagonist, a sculptor who has become paralysed, spends the whole show in a hospital bed, this experience provided actor Bob Frazer with a real life research opportunity. Having been good friends with Sanders since their theatre school days, Frazer was at the hospital almost daily, observing the environment and forming relationships with doctors and nurses. He cast Frazer, who had directed Spine and also worked on another of his shows, Skydive. They worked closely to shape the role, and Sanders is glad Frazer has taken it on as he can incorporate his personal knowledge of Sanders into his performance. “We’ve been friends for 25 years,” said Sanders, “we met in theatre school before my injury, in the fall of ’89. Both of our families have gotten to know each other really well.” A proud alumnus of SFU, Sanders also cherishes the memory of meeting his wife at convocation. “I was the valedictorian for Arts in the morning, and Barb Wiesler was the valedictorian for the Sciences in the afternoon. We met at the reception at the Diamond Alumni Centre and got a married a year later in the same spot.” That was in 1998, and they are still happily married with a son. “The program at SFU really encouraged students to create their own work and identity,” said Sanders, “I didn’t wait around for people to hire me.” He explained that it’s difficult with a disability to get work in mainstream theatre or television. To overcome this, he started his own theatre company which embraces disability and presents it as a normal part of life. Sanders said his goal is to show “disability not as an issue, but as part of the landscape where other issues can be discussed.” In this way, he said it’s up to the audience to make up their own minds. In Whose Life is it Anyway? the issue is whether or not someone should have the right to choose to end their own life, but instead of presenting a case for one side or the other, Sanders said he hopes the play will allow audiences to start a dialogue with family and friends. “I hope they leave feeling like they’ve seen a great piece of theatre, feeling good about their night in the theatre, and coming away talking — opening up the discussion for things they maybe haven’t been able to address,” he said.